I hate to break it to you, but that website your 17-year-old niece designed for your new business might be costing you more customers than it’s earning. I’m sure that her intentions were good and that you got a great deal on the commission, but the fact of the matter is that the Internet has become a crucial marketing tool for new businesses as of late. You company’s website is a vital means of both attracting new customers and proving your legitimacy to anyone who has already done business with you. Suffice to say, it shouldn’t look like something a high school student slapped together over a long weekend. So what should your website look like, exactly? It’s hard to say, since every business is unique. A website for a successful plumbing company is obviously going to look different than a site for a marketing form. However, there are a few things that all good business websites have in common—and if you want to make the most of your online presence, including these features is a good way to get started. Can customers easily find your business’s contact information? The point of a business website is to connect your company with its customers. It’s difficult to form such a connection when your contact information is buried at the bottom of your “About Us” page. Make your business accessible by posting your contact information on every page of the company website. Include a clickable button that opens an email client or links to a contact form as well. Your goal here is to make it as easy as possible for new customers to get in touch with you. Consumers on the Internet tend to be visually-driven. They want to see who you are, what you do and what you have to offer. Consequently, it’s a good idea to keep written content to a minimum on your home page and to allow pictures to do all the talking. Show off your cool office or some of the impressive landscaping projects you’ve completed. You might even want to embed a video or two. Hook visitors with visual content and then provide links to copy-based pages about your company, products, and services in case they want to learn more. 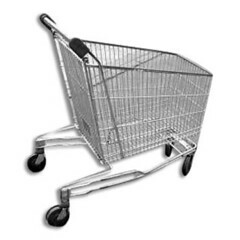 An online shopping cart is a retailer’s best friend. It gives your customers the ability to place an order anytime they want from anywhere in the world. So if you produce or sell merchandise, it’s incredibly important that you include a reliable and easy-to-use shopping function on your website. Since most new businesses don’t have the resources to develop their own in-house store, I highly recommended picking up a plug-and-play shopping cart feature from a reputable developer. Many pre-fabbed stores can be leased at a very affordable month rate and will save you a lot of hassle when it comes to maintenance and updates. Operating an on-site blog for your company serves two purposes. First, it gives you a channel to produce engaging and interesting content that will help grow your brand. Second, and more importantly, it allows you to engage in Search Engine Optimization. I could write an entire blog post on how to optimize your company’s website, but I’ll stick with the basics here. By loading your blog with keywords related to your business, such as “Oregon running shoe store,” you will make yourself rank higher on web searches for those keywords. The higher you rank on searches, the more traffic your site will pull and the more sales you will make. SEO is something that every good business does and is something yours should definitely get involved with, even if it’s only at an elementary level. Link to all of your business’s social media accounts! Everyone is getting social on Facebook and Twitter these days. Your business should as well. Provide links to your business’s social media accounts on the top of the website or on an individual page. Encourage customers and visitors to like your website and share your blog posts and other content. You’ll be able to engage with your customer base more completely, and you’ll also gain some valuable information on potential sales leads. Making a successful website for your new business isn’t rocket science. Turn your online presence into a powerful marketing tool simply by incorporating these features into the layout of your company website. They’ll make your site prettier, your sales stronger and your brand much more appealing in general. Lance Trebesch is the CEO of TicketPrinting.com & Ticket River, which offer a variety of event products and ticketing services. After working for nineteen years in Silicon Valley, Lance found that the key to happiness is helping customers worldwide beautify and monetize their events with brilliant print products and event services. Listening to his customers and learning about how they plan their events—which range from concerts to fundraisers—has helped him gain insight and expertise that he is always eager to share.